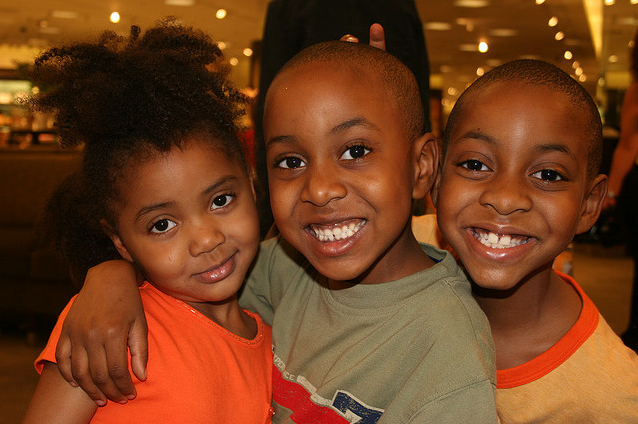 But Lester Spence, a political science professor at Johns Hopkins University who sometimes conducts statistical analysis in his research, said such analysis fails to fully capture the significant impact of factors such as the social and cultural barriers facing black Americans. Take homeownership. Houses are Americans’ largest single financial asset, but house prices typically appreciate more in suburbs dominated by whites. This benefits a white heir who inherits his parents’ house more than it would a black heir. But if the neighborhood isn’t controlled for, it’s difficult to ascertain the impact it may have. 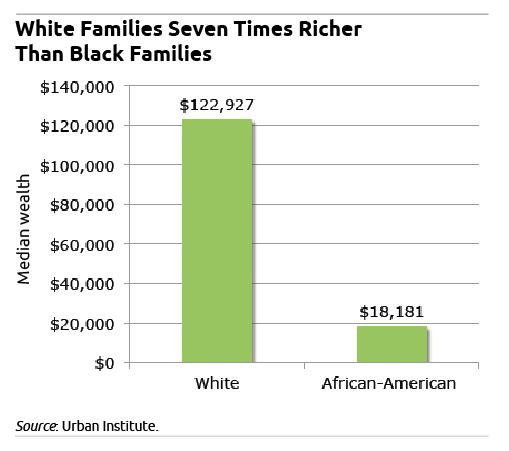 Or consider a typical black middle-class family in Detroit – like Spence’s family growing up. His father, a Ford autoworker, owned a house, saved for retirement, sent three children to college – and helped them financially when they became parents, said Spence. “When whites get jobs, they can move to nicer suburbs, and their schools will place their kids in decent colleges, and they’ll be able to make [more] money, whereas for non-whites every aspect of that is a dice throw,” said Spence, a father of five. Inheritances are responsible for 12 percent of the wealth that blacks accumulated – a large share, especially in the short time studied, 1999 through 2007. The study shows that black Americans do more with less. When they receive a $1,000 inheritance, they use it to create an additional $700 in wealth, compared with only about $300 created by whites. For poor and low-income blacks, McKernan in prior studies has identified other institutional barriers to wealth accumulation such as asset limits on means-tested government programs. And the federal safety net – food stamps, the Earned Income Tax Credit, Temporary Assistance for Needy Families – supplements incomes, rather than wealth creation, she said. “What helps people get out of poverty and stay out of poverty and move to the middle class is education and homeownership,” she said. McKernan and Spence agree on that. African American families in rural areas may also face challenges regarding real property transfers at death. I witnessed this in Southern Maryland, not more than an hour’s drive from Washington, DC. It was not uncommon for families with tracts of land to allow other family members to build homes on their property. Sometimes the property was not legally subdivided, or if done, the deed was never recorded or recorded inaccurately. The problem eventually surfaces when the owner of record dies or worse, when the actual owner is only recognized years later. Identification of the remaining legal owners or heirs could be compounded by lack of other legal instruments and wills. Often, the local legal aid bureau is the only resource for these families. Seems like the same problems that Africa is grappling with, especially inequality in countries like South Africa. That is terrible. What is usually the legal outcome when the owner of record dies? Do the families get to keep their houses or do they lose them?